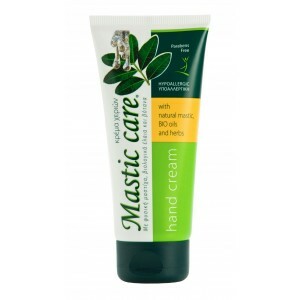 Hand cream with mastic and bio oils. 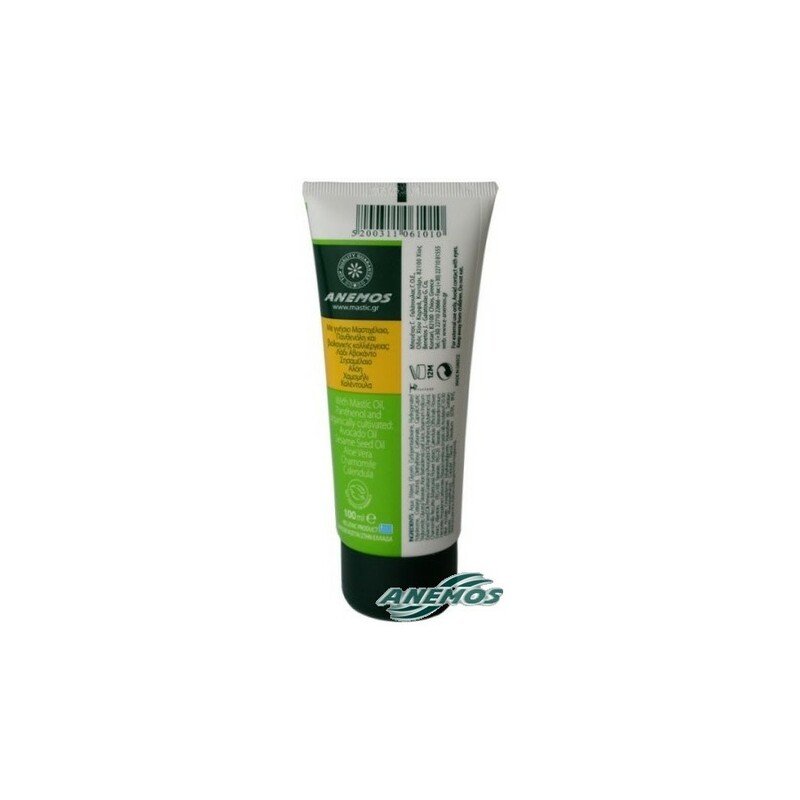 Moisturizing cream for the care of hands with a discreet very pleasant scent. With active bio ingredients for drastic but gentle care. It contains pure mastic oil, Panthenol, and organically grown: Avocado oil, sesame seed oil, Aloe Vera, chamomile, calendula. It is very easily absorbed, it softens and protects the skin. Ideal for the care of hardworking hands. Extremely hydrating, it nourishes the skin and revitalises the skin cells. 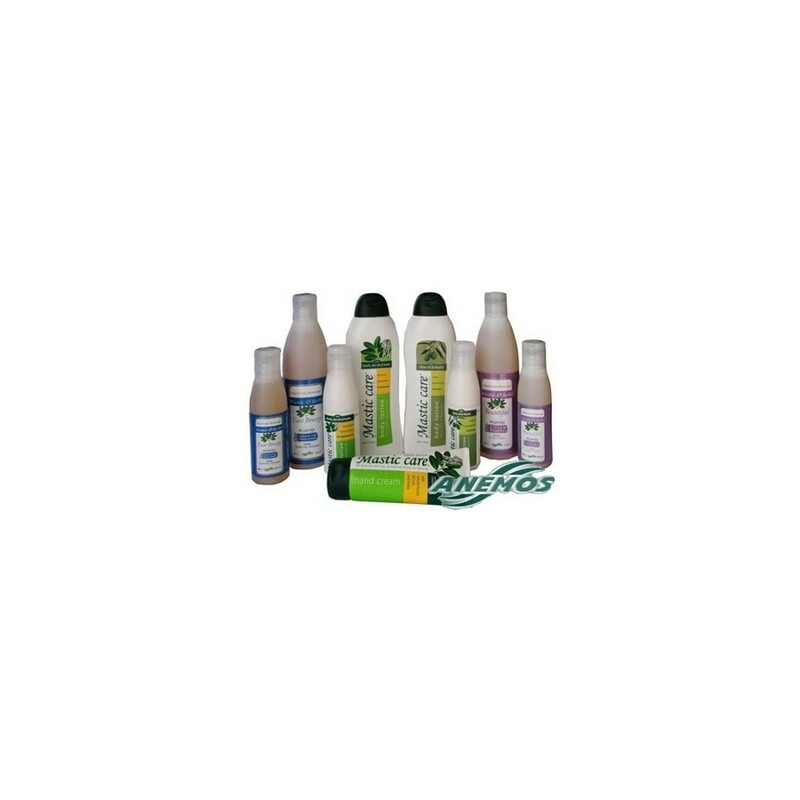 Provides intense moisturizing and healing action which makes it suitable for effective moisturizing of the whole body after prolonged exposure to sun, ideal for relieving itching from insect bites, relief of minor burns and protection in situations with very intense cold. This cream is clinically and dermatologically tested and was awarded with an international certification that is: 100% hypo allergenic and 0% skin irritant. All the 100ml (or less) products can safely and legally be taken abroad a plane in your personal handbag. 100% hypo allergenic and 0% skin irritant. Tube 100ml. (All the 100ml, or less, products can safely and legally be taken abroad a plane in your personal handbag. 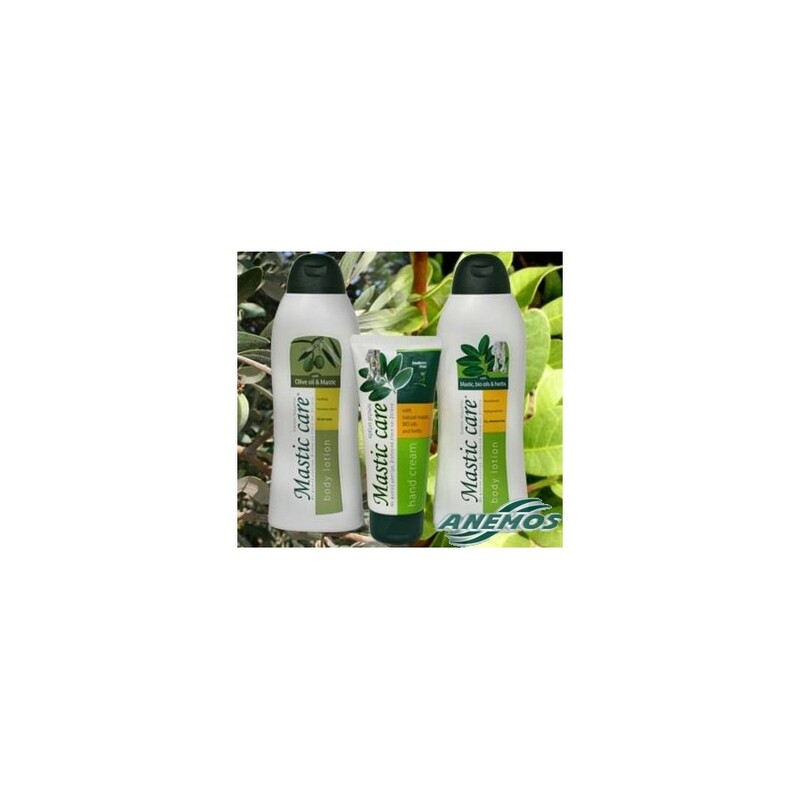 Mastic oil is a pure product derived from mastic. Mastic is grown only in South part of Chios island. It helps to retain the necessary moisture, which is vital for the skin. Also, it helps to remove the dead cells from the surface of the skin, and activates the mechanism that renews the cells with new, healthy ones. 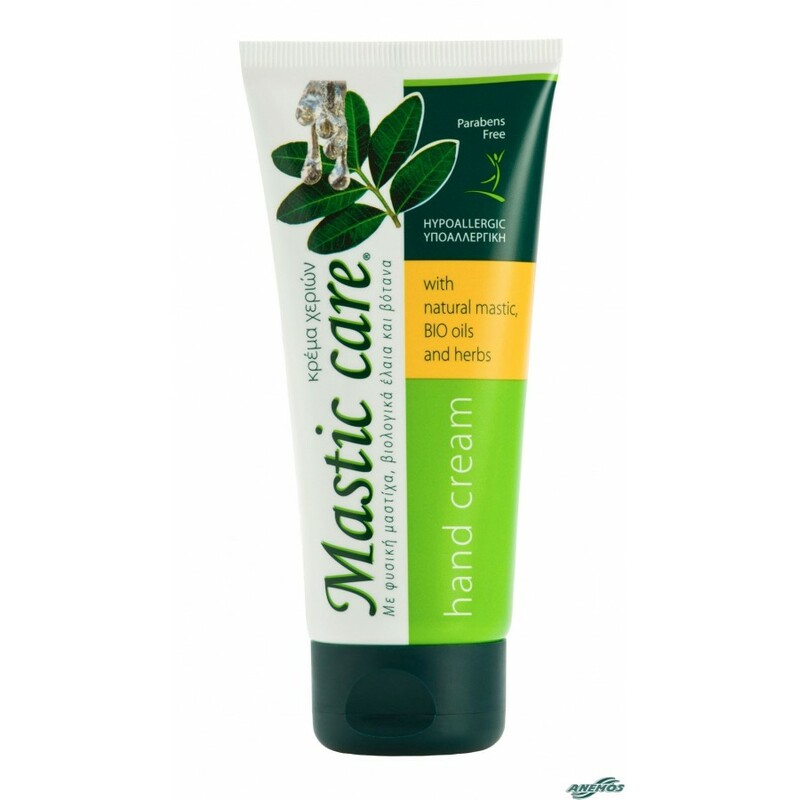 Scientific research has shown that mastic oil has a strong antibacterial and antifungal activity. Sesame seed oil makes ideal massage oil because of its excellent emollient properties. Applied topically, sesame oil is thought to aid in healing chronic diseases of the skin. Sesame oil is rich in Vitamin A, B and E. Vitamin E is a fat-soluble antioxidant, which protects the body from harmful oxidizing compounds. Sesame oil contains several important antioxidants, sesamolin and sesamol, believed to promote cell integrity and the healthy function of body tissues in the presence of oxidizing compounds. Additionally, sesame seed oil is being investigated as a mammalian cell-growth regulator that slows down cell growth and replication, partly through its antioxidant properties. The human body requires 22 amino acids; the aloe Vera provides 20 of them. 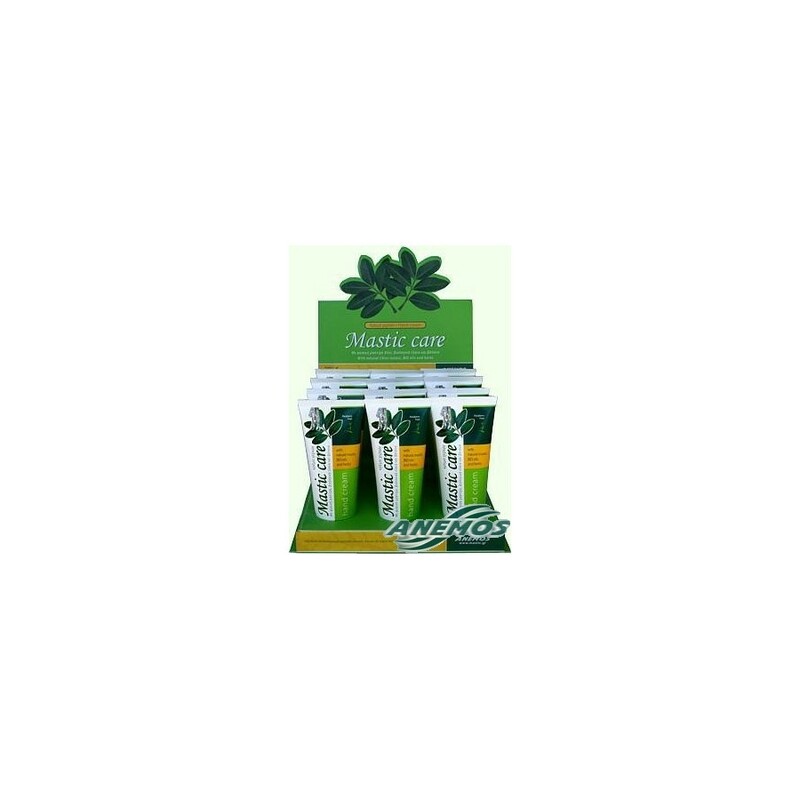 The plant sterols contained in Aloe Vera act as powerful anti-inflammatory agents. It is natural anti-inflammatory and anti-microbial action combined with its nutritional constituents promotes cell growth and therefore healing. Panthenol (Pro-Vitamin B5) a powerful antioxidant possessing anti-aging, anti-inflammatory properties; helps replenish skin’s natural hydration and improve the appearance of many skin conditions. Panthenol is known for its revitalizing effects in the skin. It has humectant-like properties that promote moisture absorption. Panthenol is used in cosmetics as an emollient and in the pharmaceutical industry in ointments, and creams for the treatment of various minor skin disorders. Chamomile (Matricaria recutita) A well known hypo allergic herb with relaxing and soothing properties. Its use on the skin is extremely beneficial with anti-inflammatory, antiseptic and anti-bacterial properties. It has been used as a wound healer for many years. Calendula (marigold) is beneficial in skin care, soothing inflammation, controlling bleeding and healing damaged tissues, where the skin is broken. It is most effective to help heal wounds and has shown to stimulate the development of granulation tissue. It has immune stimulant properties as well as an estrogenic effect.